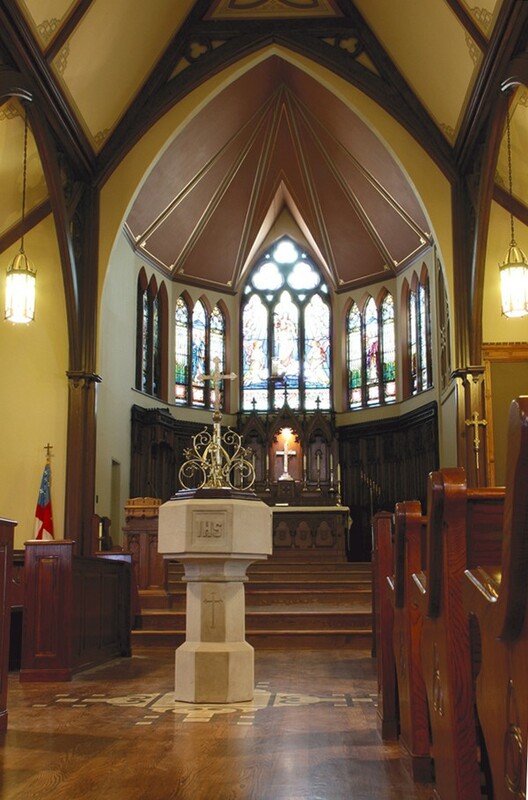 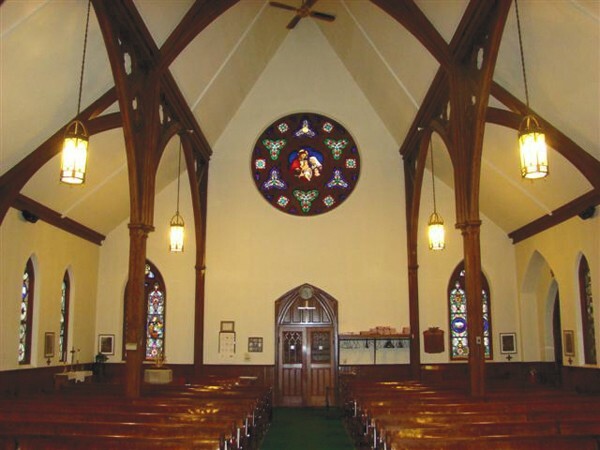 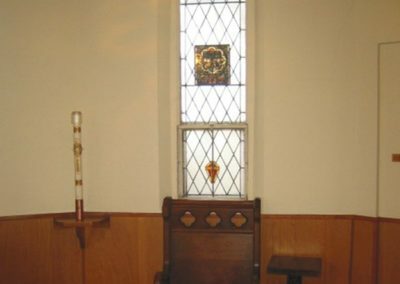 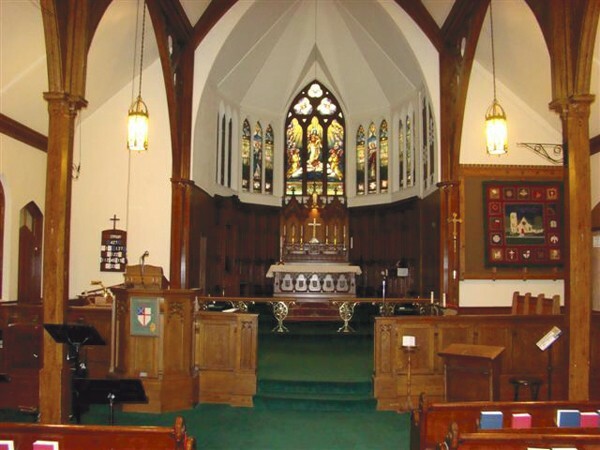 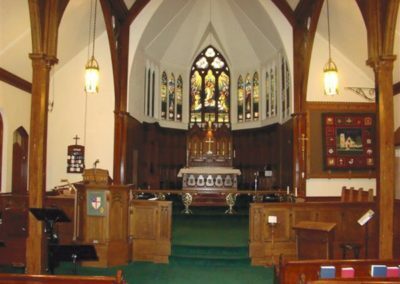 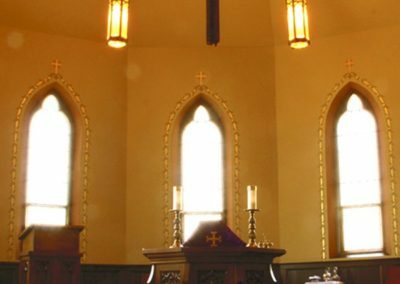 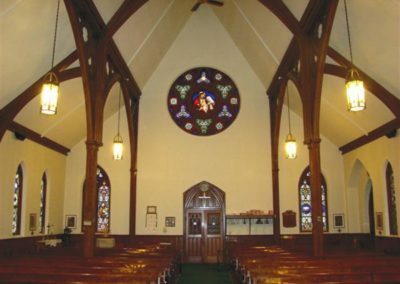 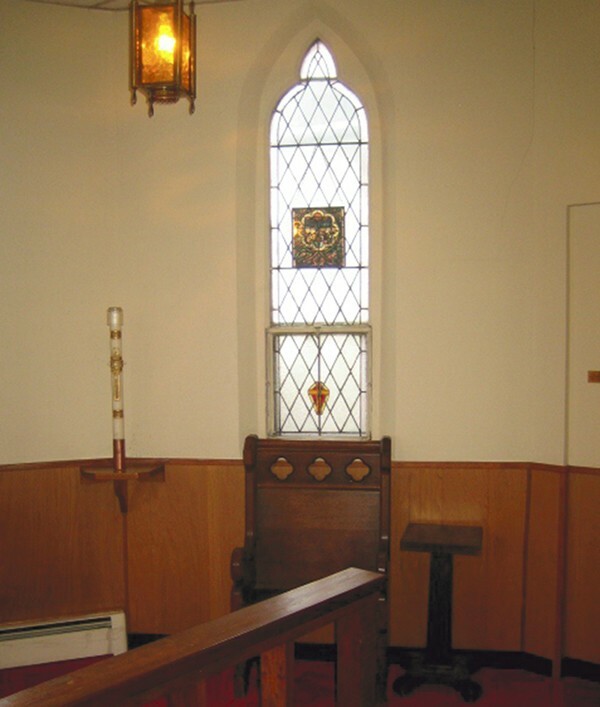 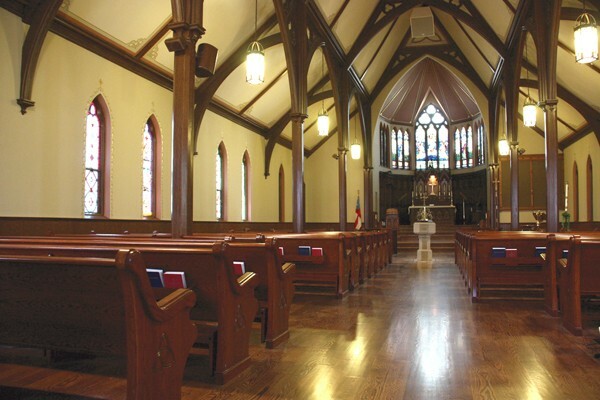 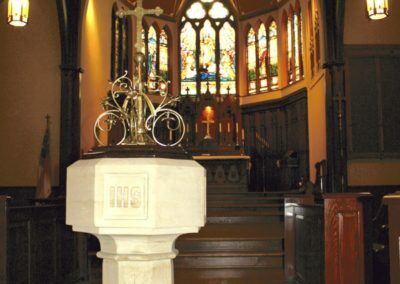 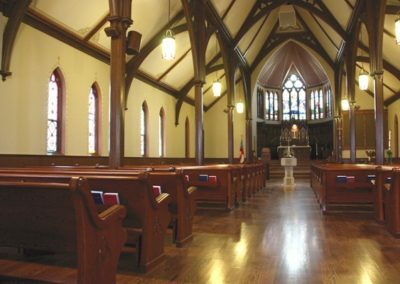 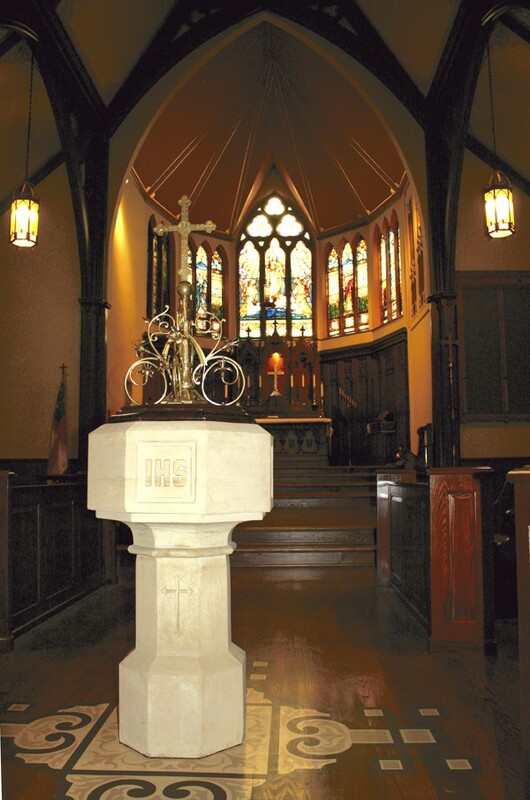 Nestled in the picturesque city of Delavan, Wisconsin, the congregation of Christ Episcopal Church was growing and needed their worship space to evolve along with their faith. 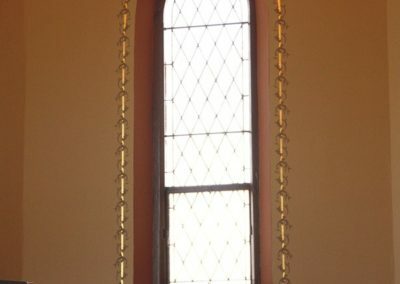 Historic photos of the church yielded evidence of a more decorative scheme that had been painted over through the years. 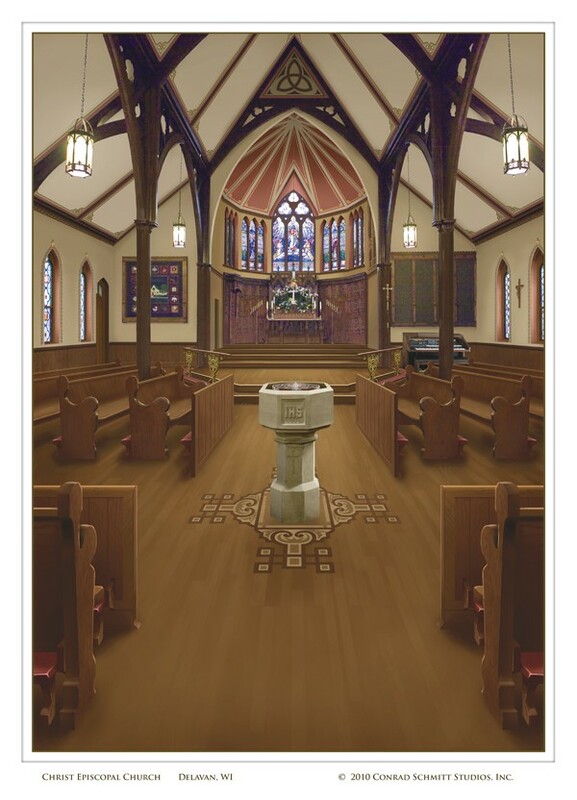 A sketch illustrating the proposed decoration, reflecting elements from an earlier design scheme was developed and the master plan assembled. 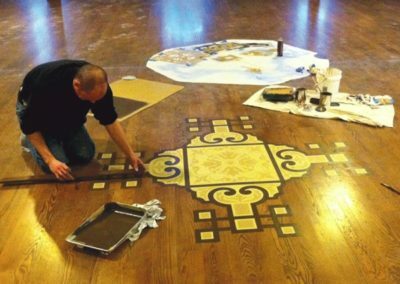 Due to the condition of the surfaces, substantial prep work was needed. 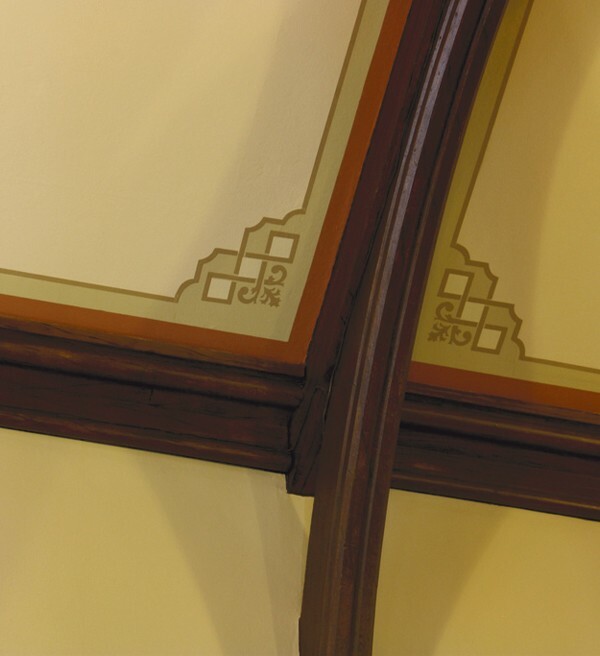 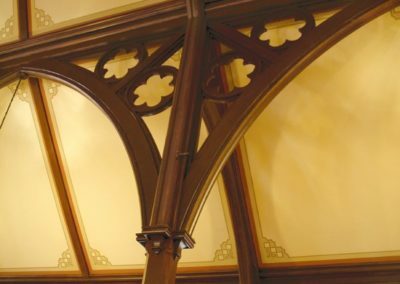 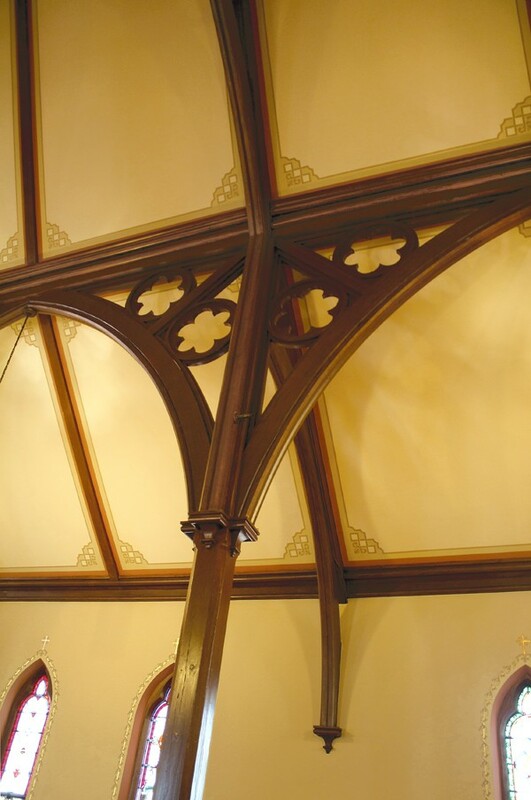 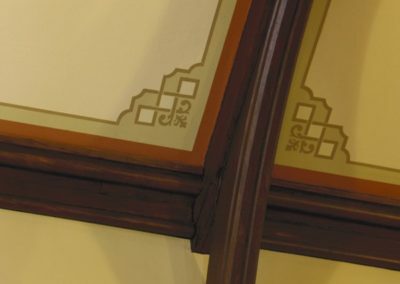 All of the walls and ceiling were fiber-glassed to provide a stable substrate for the decoration, which included soft, welcoming colors and stencils with touches of gold leaf. 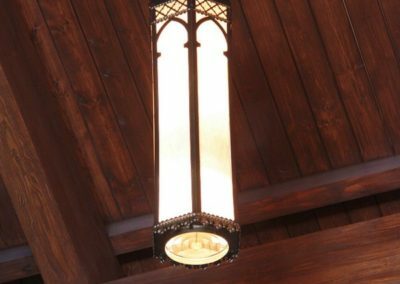 In dire need of repair, the beautiful beams, columns and wainscot were wood grained to replicate the original treatment of these features. 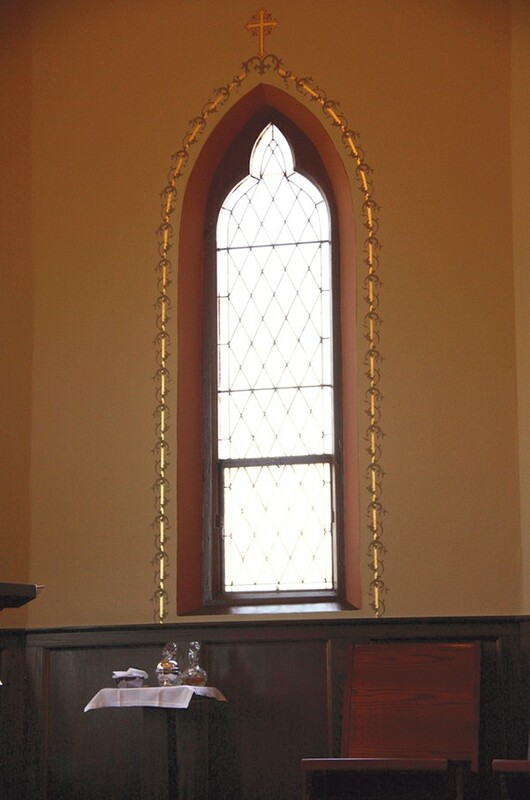 Trompe l’oeil painting was used to create a faux wood frame to highlight the existing rose window. 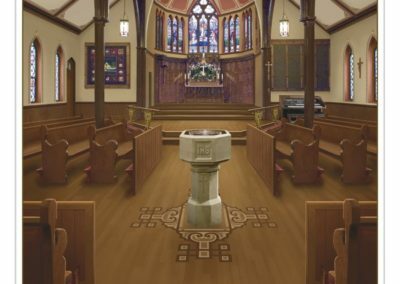 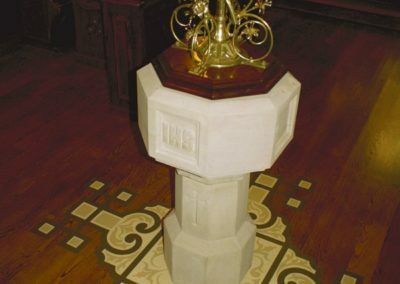 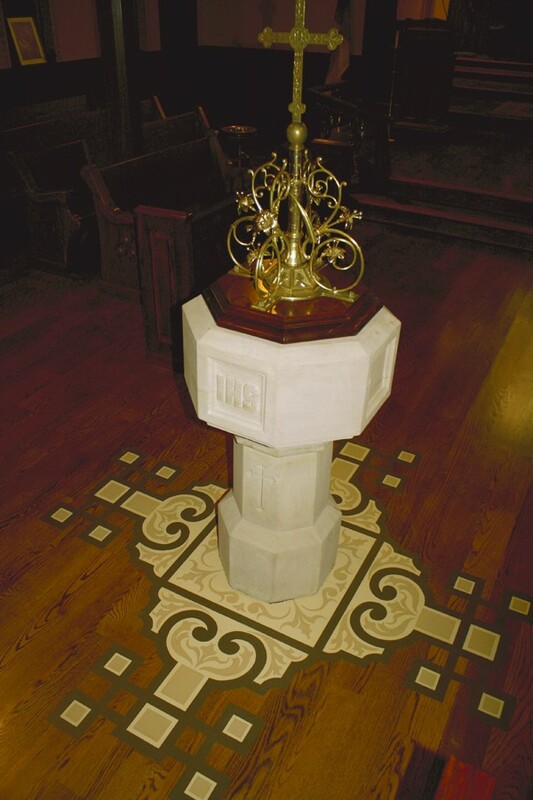 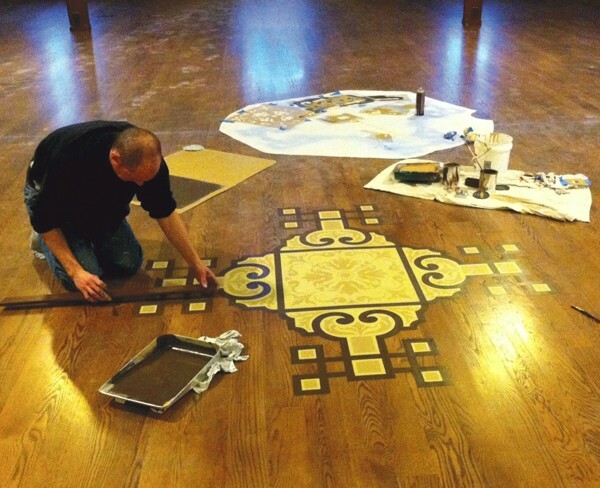 As an alternative to in-laid flooring, a design was painted on the new wood floor to provide a visual base for the Baptismal font and serve as a central axis for the new entrance. 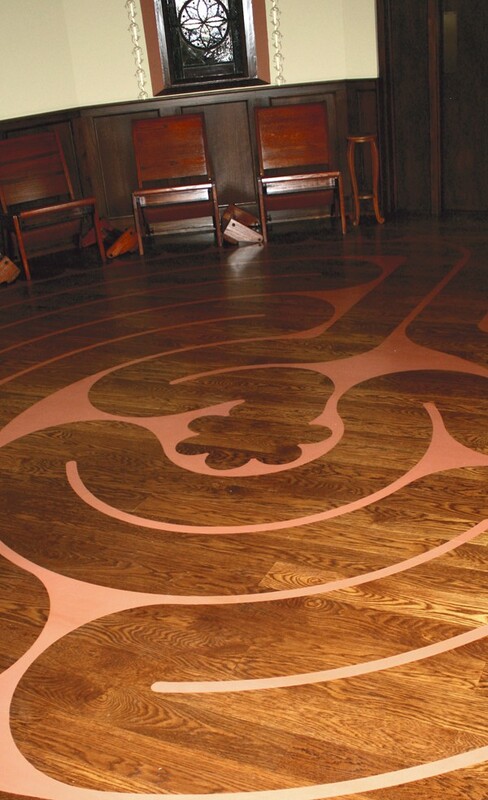 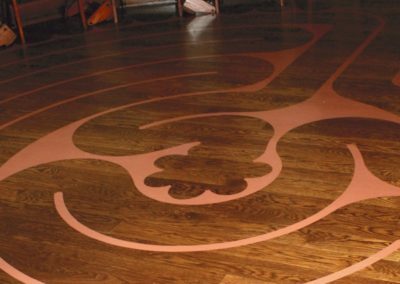 A labyrinth was also painted on the floor of their chapel, which has become a special place for prayer and meditation. 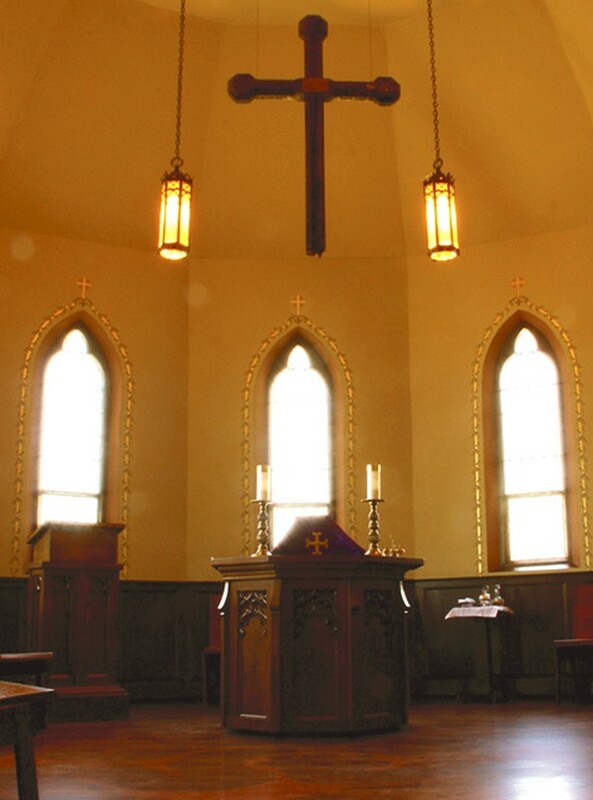 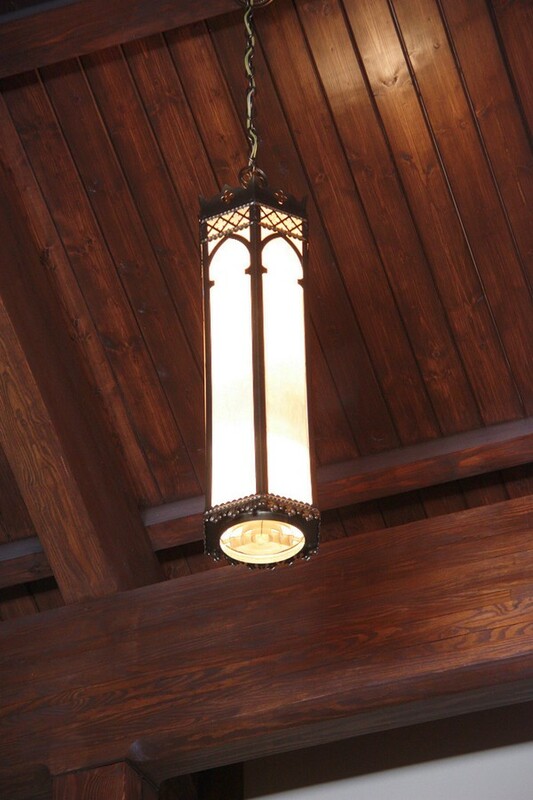 The restored church is a beautiful and functional home for this vibrant faith community.